On Saturday I led a tour of Yeyahu NR with a group from the British Embassy in Beijing. It was a fun day out that will hopefully inspire a new generation of birders and we also raised GBP 75 to help save the Jankowski’s Bunting! Given that the embassy bus wasn’t going to leave Beijing city centre until 0900, Libby and I plus good friends, Sarah and John Gallagher, decided to travel up early morning under our own steam and meet the group when they arrived late morning (hopefully having scouted out a few birds!). The four of us arrived around 0800 and we enjoyed a very ‘birdy’ few hours. 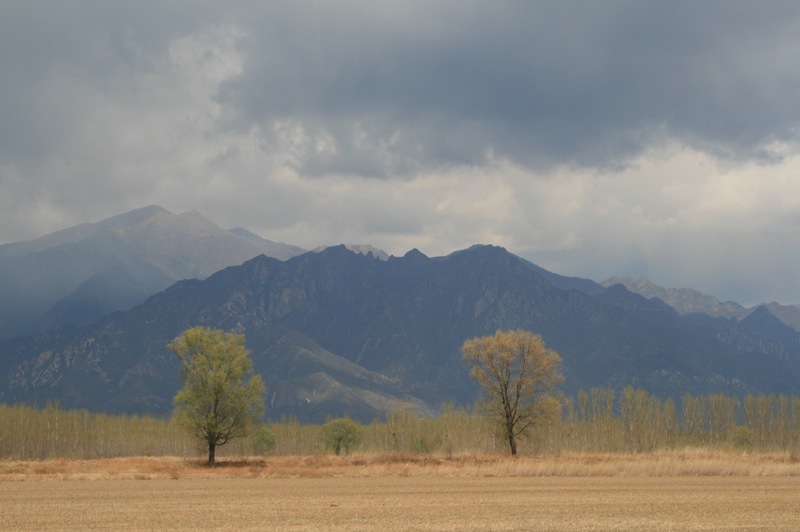 The weather was clear and sunny, allowing stunning views of the mountains to the north and south.. 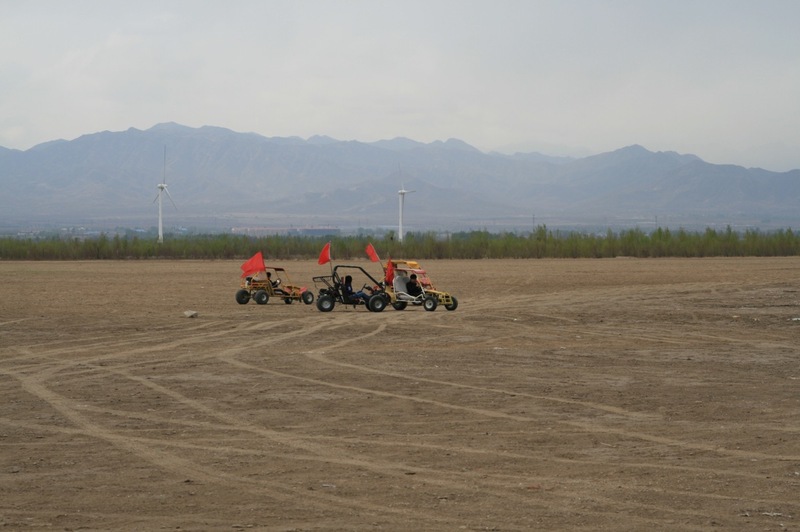 The only downside was a strong north-westerly wind that was blowing straight from the Mongolian steppe, making it feel cold. 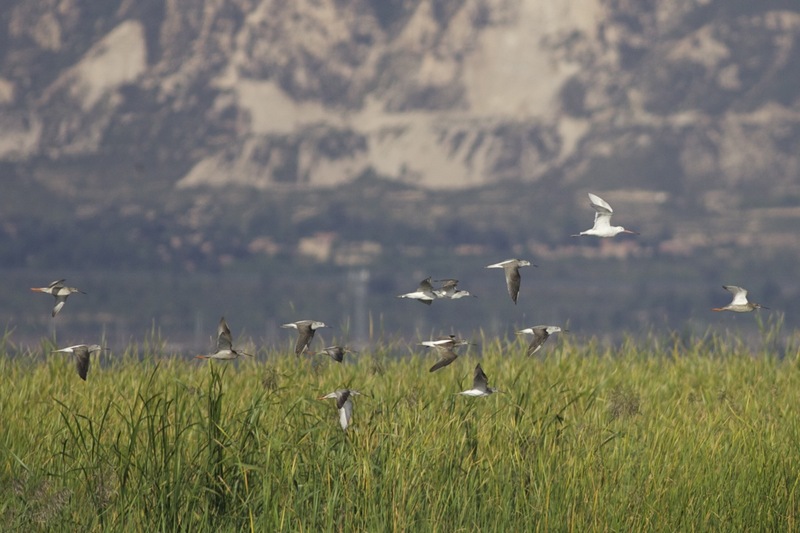 Despite the wind, it was clear that migration was happening all around us. Flocks of Brambling regularly wheeled overhead, interspersed with groups of Skylark, Little Bunting, Daurian Jackdaws and Olive-backed and Buff-bellied Pipits. 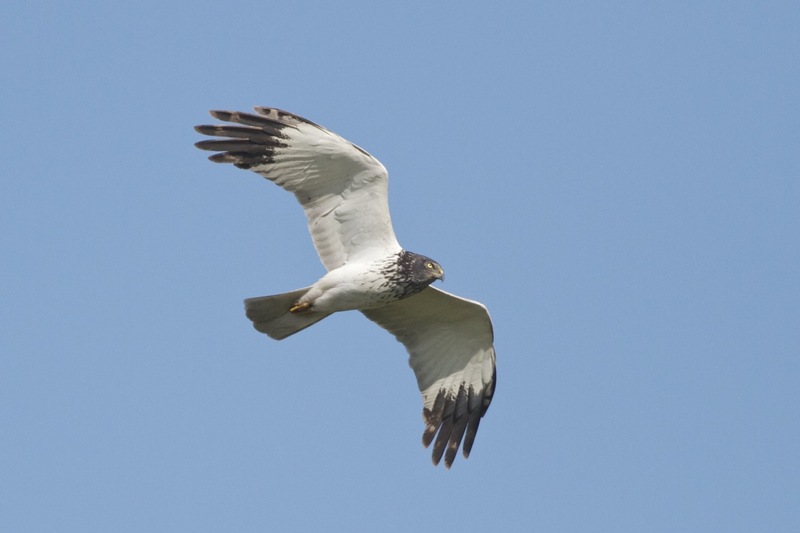 A young Hen Harrier gave us exceptional views as it hugged the leeward side of a hedge and then a flock of at least 17 calling Hawfinches flew low over the treetops… my first sighting of this chunky finch at Wild Duck Lake. A little further on we stumbled across 2 Siberian Accentors – my first of the autumn and hopefully a sign that numbers will be back to normal this year after being pretty scarce in the capital last winter. We stuck to the sheltered side of the hedge and had planned to make it as far as the tower hide at the edge of the reservoir before heading back to the car park to meet the embassy bus. However, our progress was slow given the number of birds we were seeing and we ended up circling back long before the tower. Just as we turned, a large flock of Daurian Jackdaws came low over the fields, almost flying in between us as they headed fast south-west. Stunning. 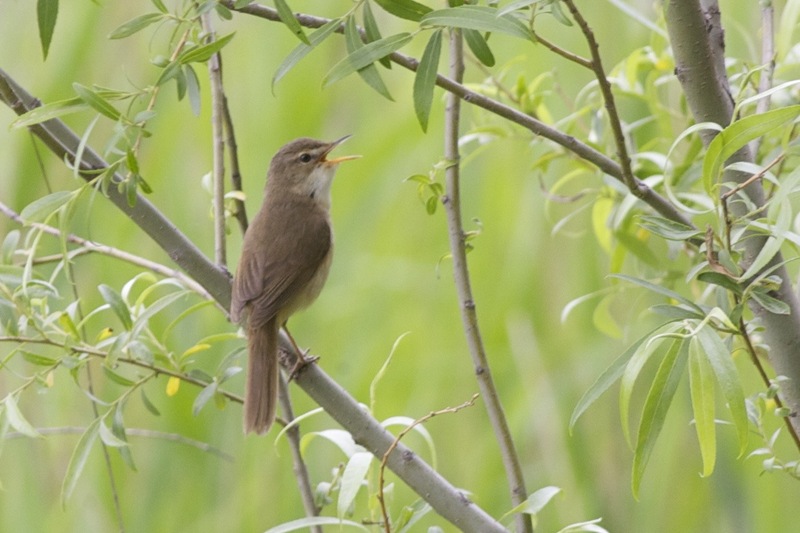 Highlights of the return included a young Saker patrolling one of the lakes on which domesticated ducks have been released.. causing a panic.. and a Tolai Hare flushed by Sarah as we walked through a grassy field. 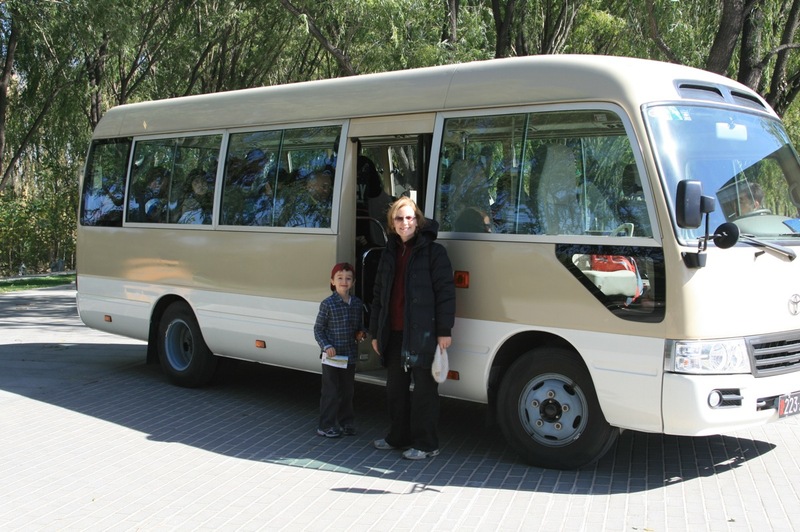 The embassy bus had, not unusually for a Saturday morning, been caught in heavy traffic on the G6, the main highway from Beijing to Badaling (one of the most popular stretched of the Great Wall) and it wasn’t until 1130 that they arrived. The British Embassy minibus arriving at Yeyahu NR. With Libby and chief spotter, Joe Wild. First priority was to find a sheltered spot for the picnic lunch.. 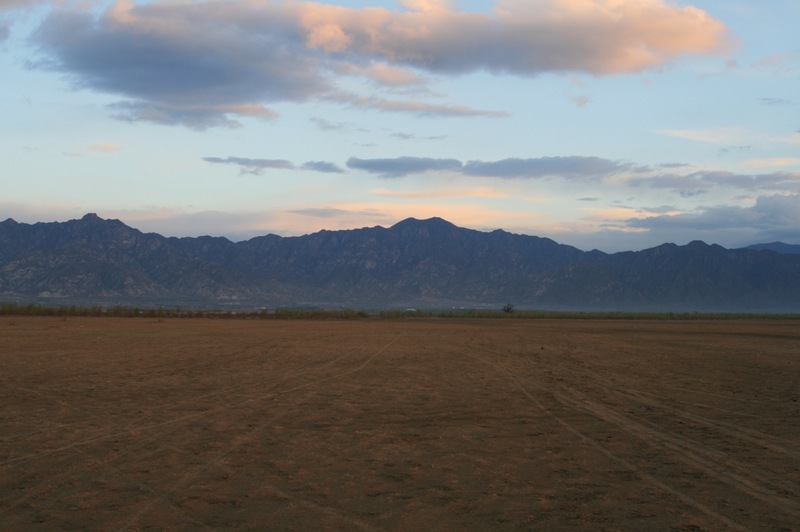 It was pleasant out of the wind so we chose a spot on the eastern side of a row of poplar trees with a wide vista of the mountains and open fields.. 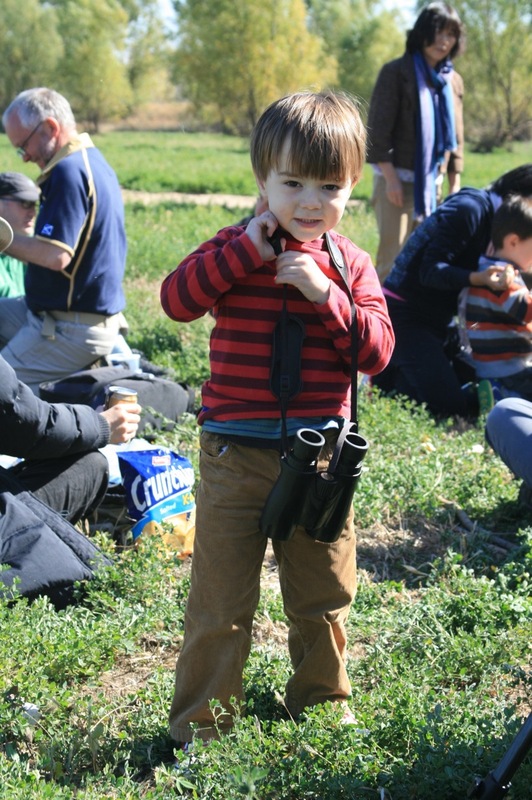 The picnic lunch also provided an opportunity for the youngsters in the group to get to grips with birding optics for the first time… It was clear early on that Joe was going to be chief spotter! 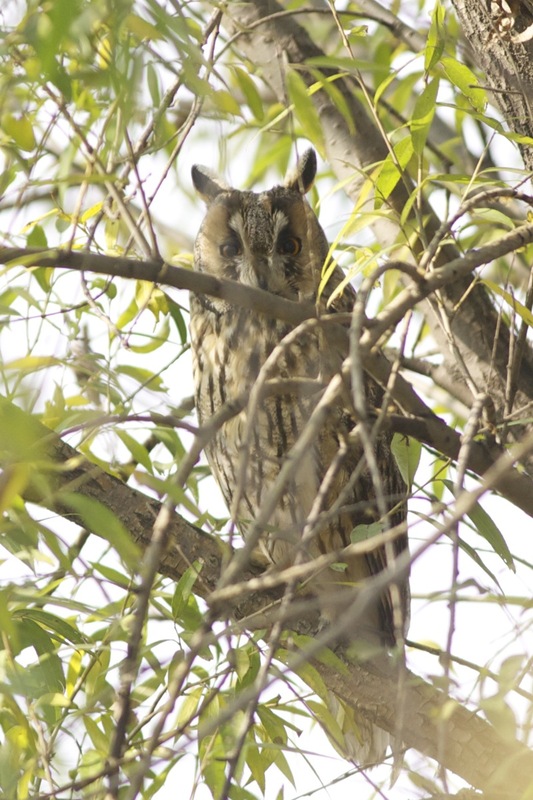 Here he is looking at a group of Common Cranes that flew in from the east during lunch. Joe using a telescope for the first time..
Sam lamented the weight of my Nikon binoculars…! 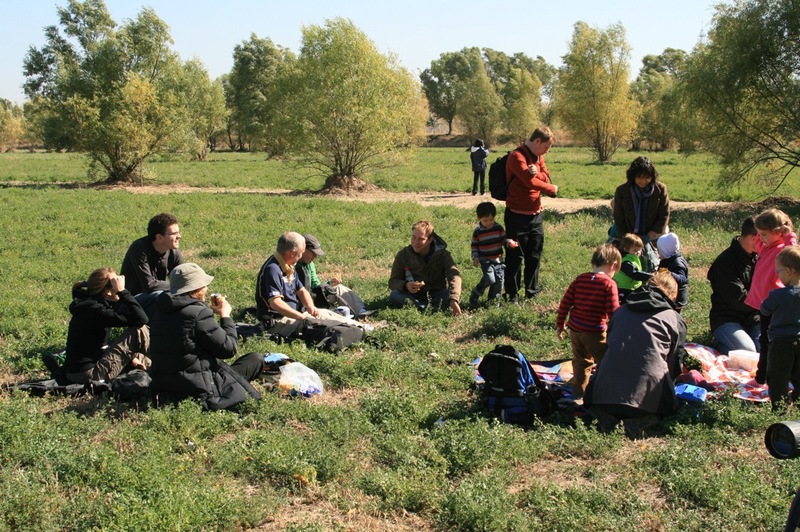 After lunch we split into two groups – one staying by the lake to feed the domesticated ducks and one that would follow me on a walk to the reservoir to look for wild birds. To add a bit of extra fun to the day, we had arranged a competition to guess how many species we would see on the day. Guesses cost 20 Yuan each (GBP 2) with the winner receiving a copy of “Birds of East Asia” by Mark Brazil (easily the best field guide for birds in the Chinese capital). The proceeds would go to BirdLife International’s JustGiving page to help save Jankowski’s Bunting. With only a couple of hours at Yeyahu in the middle of the day, and with a strong wind, I was expecting a relatively low total. Guesses ranged from 15 to 50. We saw 22, with the best of the bunch a flock of Common Cranes that arrived from the east and a Short-toed Eagle hunting briefly near the entrance to the reserve. A fun day out and money raised for a good cause. Thanks to everyone involved, especially Feian Downing and Jon Baines from the embassy who made the logistical arrangements. Finally, I should add that the British Embassy in Beijing has an association with birds. Former Ambassador (1997-2002) Sir Anthony Galsworthy was a keen birder and regularly set up mist nets in the garden of his residence to trap and ring birds.. I am trying to get hold of his records.. would be fascinating to see what he caught in his central Beijing garden! On Saturday I made my first visit to Ma Chang/Yeyahu for a few weeks and boy, was it worth it?! 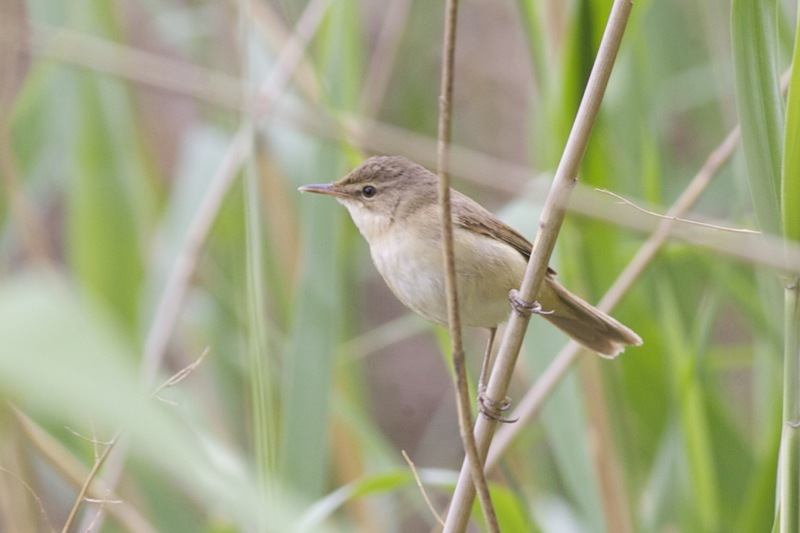 The autumn migration is now in full swing. The highlight was undoubtedly the juvenile/first winter Little Gull that I found feeding on the reservoir before it gained height and flew strongly east. Despite being almost annual on the Bohai coast, I believe this is the first record for the Beijing municipality. 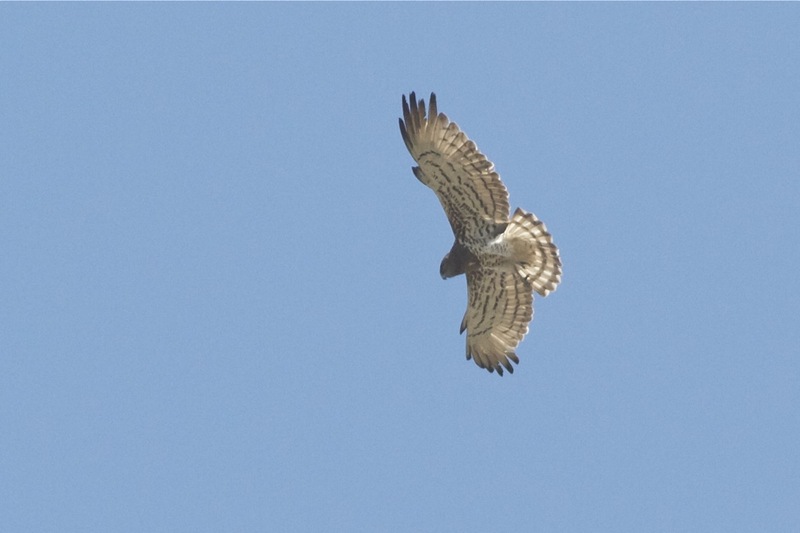 Coming a close second was a stunning Short-toed Eagle that drifted right overhead near Yeyahu lake. Wow. Japanese Quail (Coturnix japonica) – my first two of the autumn, flushed between Ma Chang and Yeyahu. 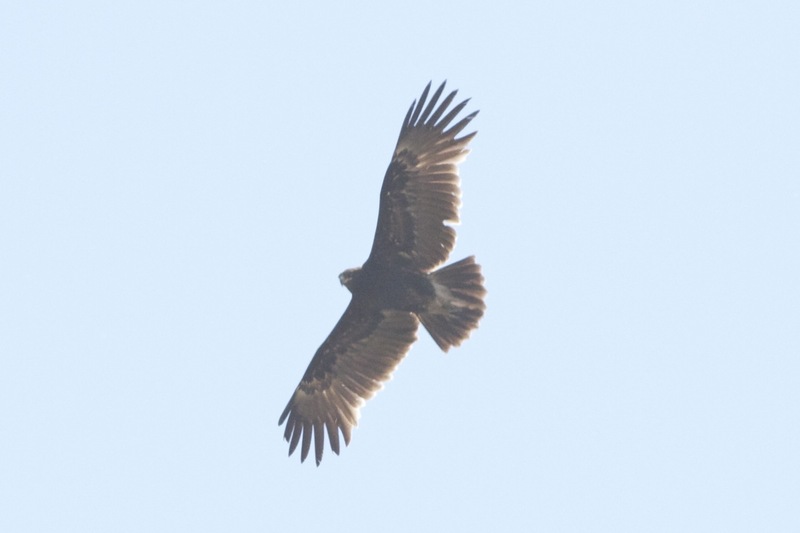 Black-eared Kite (Milvus lineatus) – 10; one on the ground at Ma Chang followed by a group of 7 kettling mid-morning and two other singles. 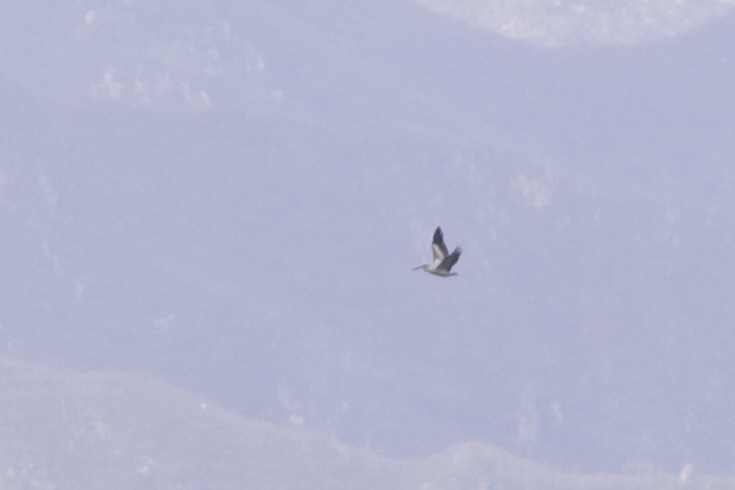 Common Crane (Grus grus) – 1 scoped circling distantly over the mountains to the north. Little Gull (Hydrocoloeus minutus) – 1, a juvenile/first winter seen well but briefly over the reservoir at the east end of Ma Chang. 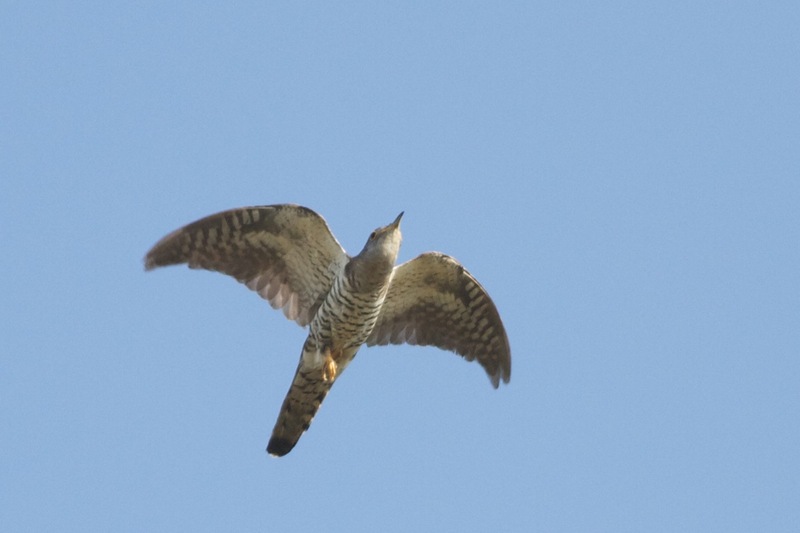 After ‘dip-feeding’ a couple of times, gained height and flew strongly east. 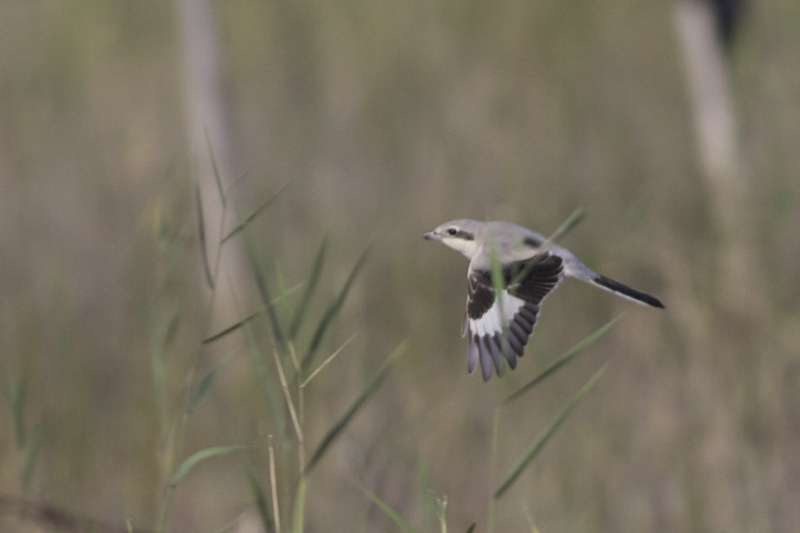 Chinese Grey Shrike (Lanius sphenocercus) – 5 seen, one of which I originally thought could be a ssp of Great Grey (see photos). 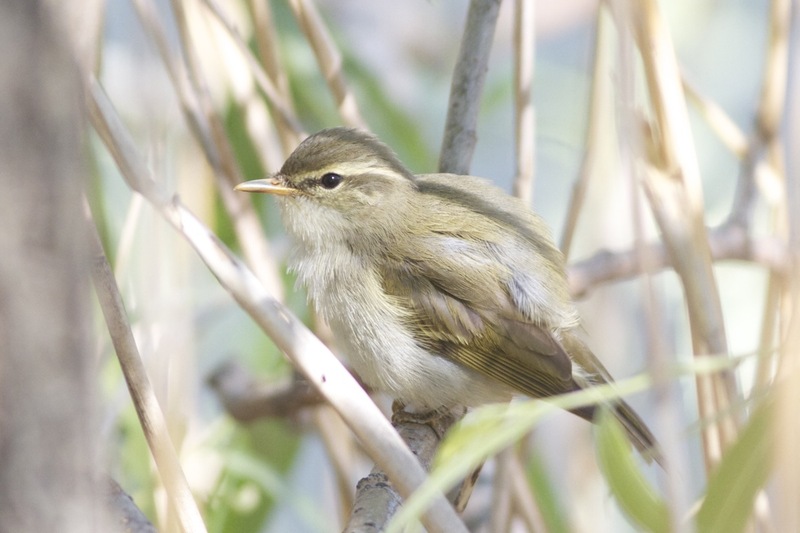 Yellow-browed Warbler (Phylloscopus inornatus) – encountered in every group of bushes or trees. At least 40 seen or heard. Eastern Yellow Wagtail (Motacilla tschutschensis) – at least 200 ssw early morning, followed by the odd small group thereafter. c250 in total. Little Bunting (Emberiza pusilla) – many buntings, probably this species, migrating ssw early morning and c30 seen during the day. bunting sp – many hundreds of buntings migrating between 0600 and 0730; most probably Little Bunting but some looked slightly larger. 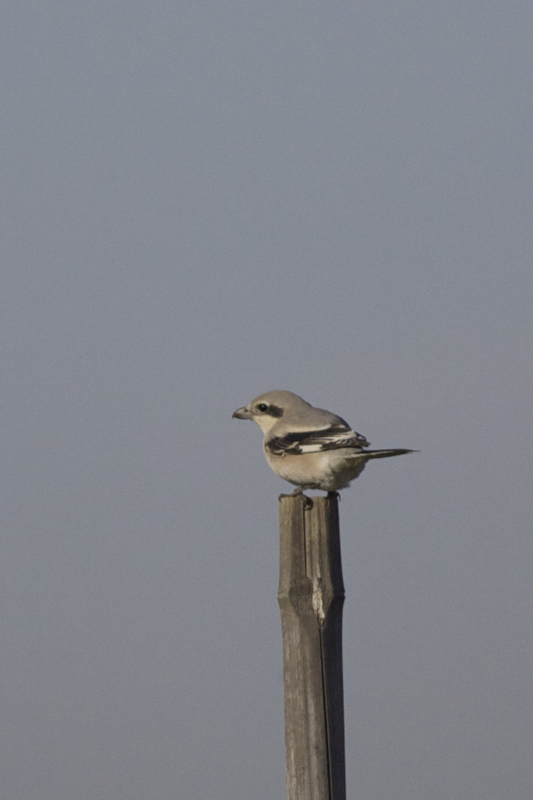 Posted on September 21, 2011 Categories UncategorizedTags Chinese Grey Shrike, First for Beijing, Leucism, Little Gull, Ma Chang, Short-toed Eagle, Wild Duck Lake, yeyahu1 Comment on First for Beijing! Lightning Strikes Twice at Wild Duck Lake! Ok, I know it sounds as if I am making this up but on Saturday I found another pelican at Wild Duck Lake. 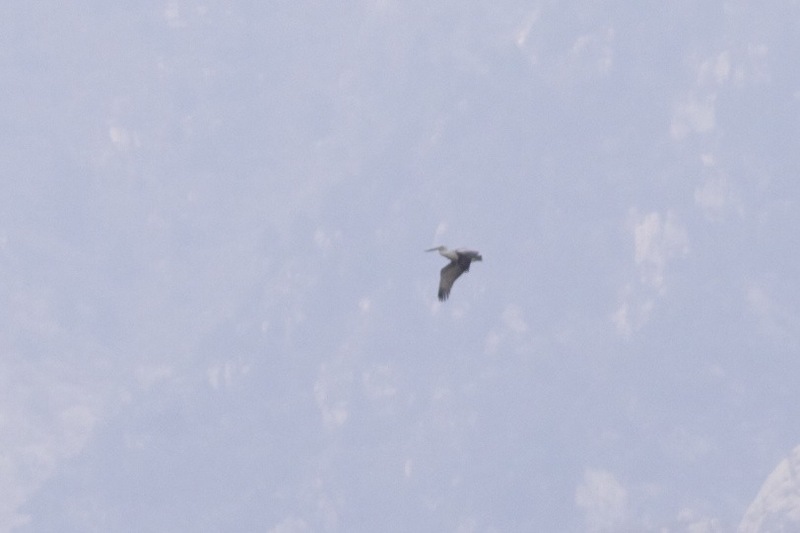 Only this time, it was a DALMATIAN PELICAN. A stunning end to another fantastic day of birding at this site that included a Short-toed Eagle (rare in northern China), two Greater Spotted Eagles and my largest total of species in one day at this prime location (79). 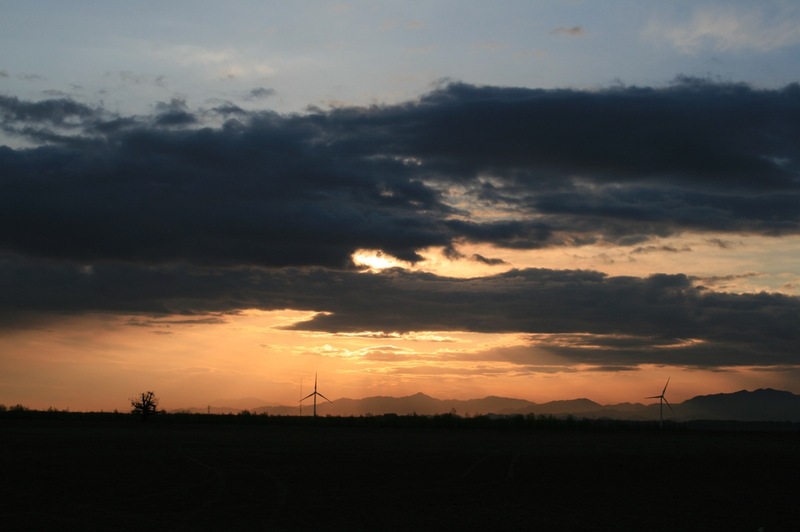 I had a feeling it might be a good day when I travelled to Yanqing on Friday evening. 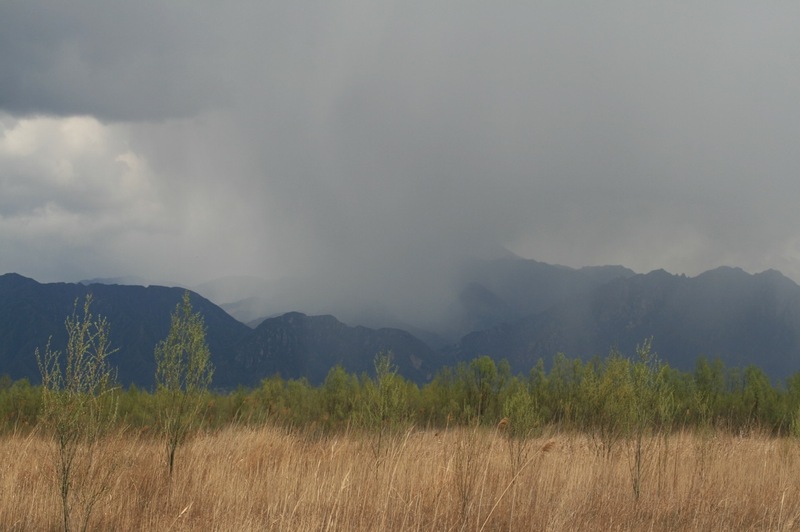 The afternoon had been very showery with some thunderstorms, one of which hit Beijing with its full force. This meant that the pollution mist had been cleared, reminding everyone that Beijing is surrounded on three sides by fantastic mountains, a fact easy to forget given the majority of days are afflicted with at least some level of smog. On arrival at the site at 0530, it was a chilly 5 degrees C with a moderate NNW wind which felt distinctly wintry again (gloves most definitely required). 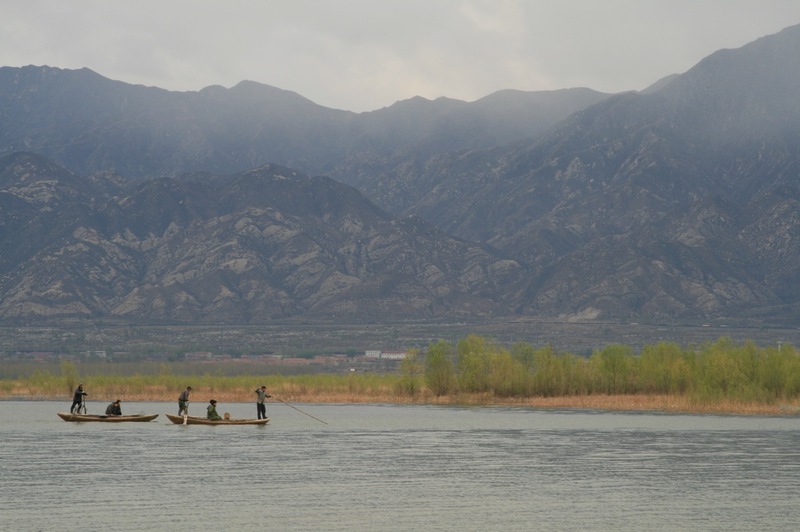 However, the visibility was fantastic and I could see, uninterrupted, the mountains stretching into the distance on both the northern and southern sides of the reservoir. I began by checking the ‘desert’ area for Oriental Plovers but no sign. Just a few Kentish Plovers and a handful of Greater Short-toed Larks. 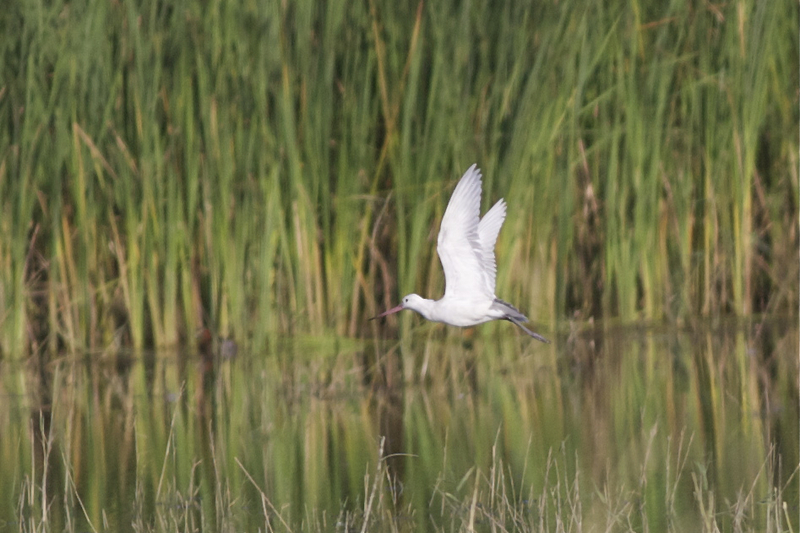 The reservoir shore here produced a single female Ruff associating with half a dozen Black-winged Stilts. 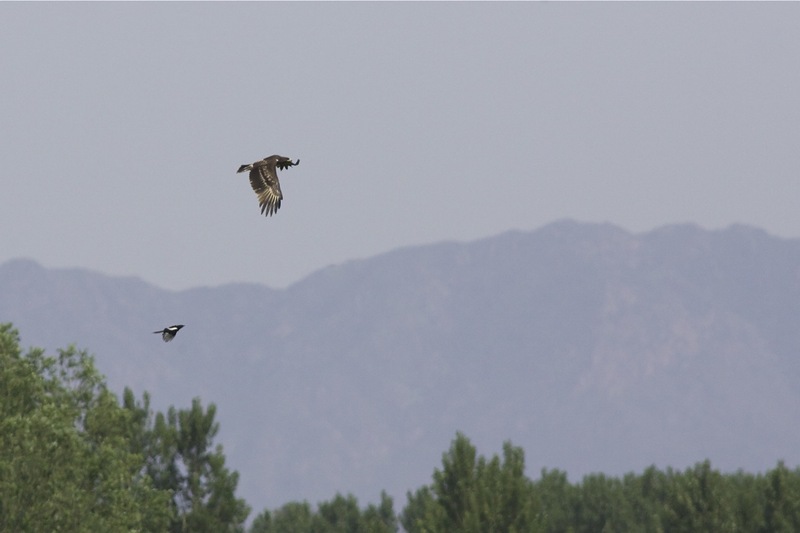 And evidence that one Chinese bird photographer had been a little overeager to secure that frame-filling shot….. 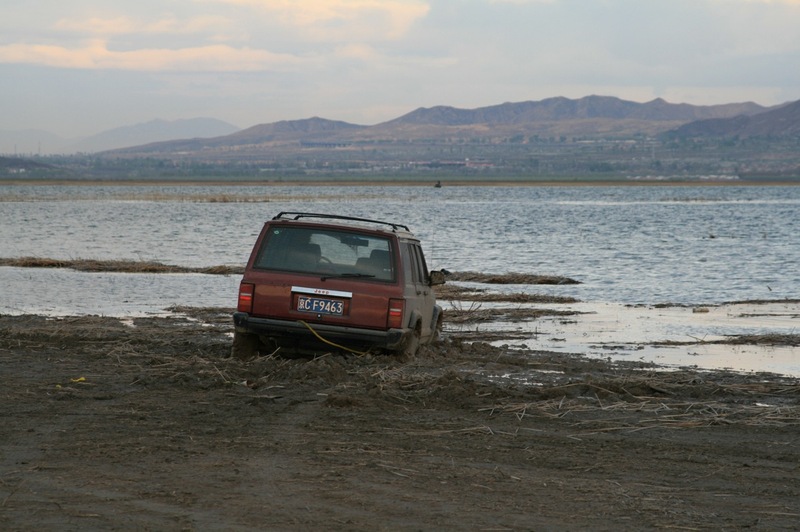 This bird photographer, despite having a 4wd, got well and truly stuck! 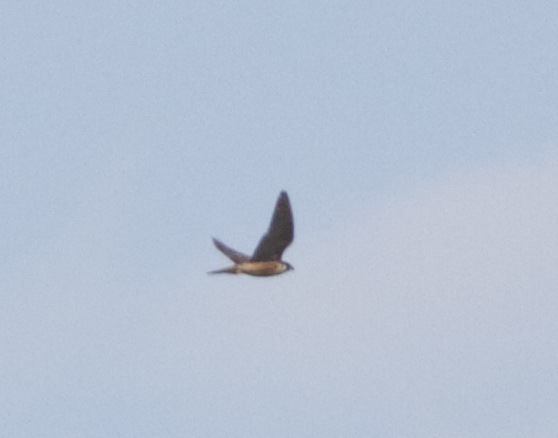 Barn Swallows were already moving overhead with the odd group of buntings and pipits. 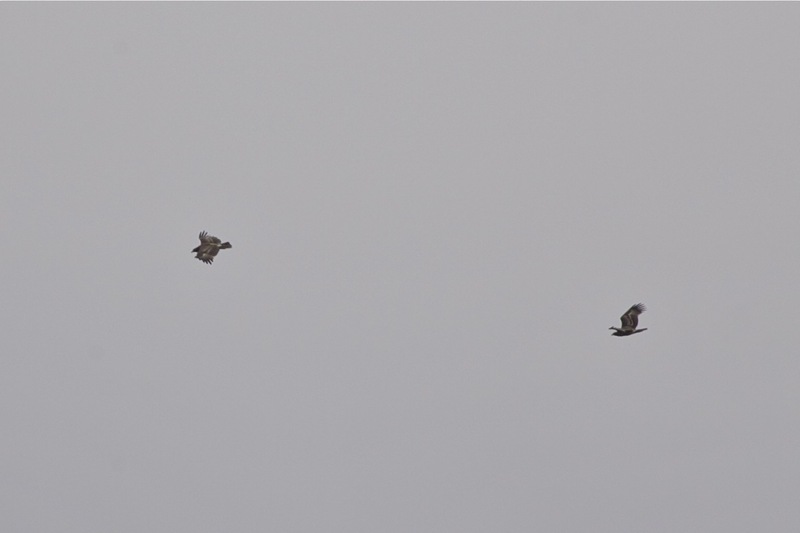 I decided to check the spit for wildfowl (the scene of the Great White Pelican last week) and, on the short walk, I flushed a Short-eared Owl that immediately took offence to the mobbing by the local magpies, climbed quickly and then flew high south. Sorry! On arrival at the spit, my scan of the reservoir revealed very few birds, probably due to the presence of 3 fishing boats. One tightly-packed group of birds on the far side of the reservoir revealed themselves to be breeding plumaged Black-necked Grebes and I counted 32 in this ‘flotilla’. A single Daurian Jackdaw, a few Eastern Marsh Harriers, some Buff-bellied Pipits and the occasional ‘boom’ of a Bittern were my further rewards before I decided to head off to try the island (offering views of another part of the reservoir). Just as I was leaving the spit I could hear the rasping call of terns and I looked up to see two Common Terns (of the dark-billed ssp longipennis) arriving from the south. 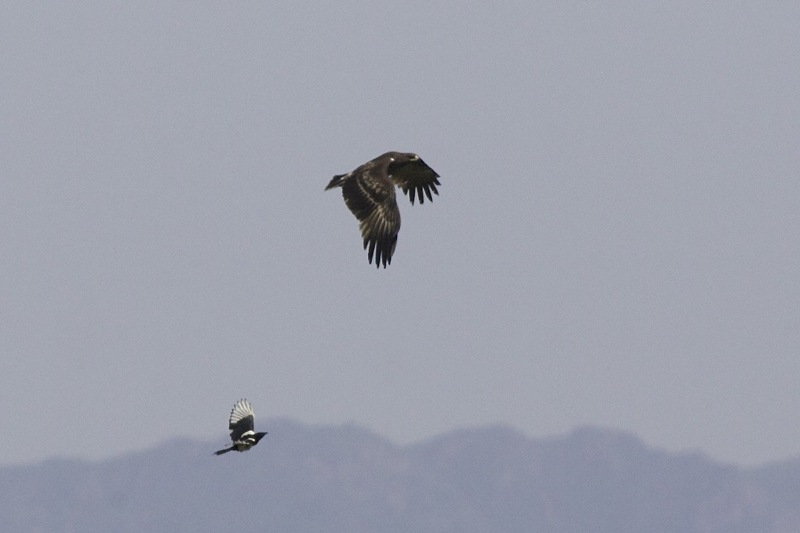 Then, I spotted a group of raptors lazily flapping across Ma Chang… 9 Black-eared Kites! I reached the island at Ma Chang a few minutes later and I began to check for wildfowl. A group of over 180 Falcated Duck was the highlight with the supporting role going to an Osprey sitting on a far post. 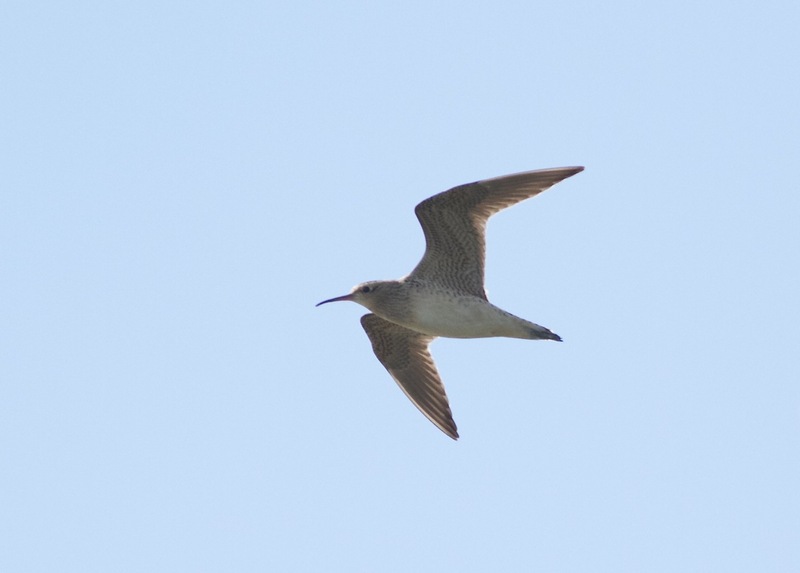 Then I began to notice swifts moving overhead and, before long I had counted the first of what would prove to be a movement of over 350 Fork-tailed (Pacific) Swifts migrating north-west. 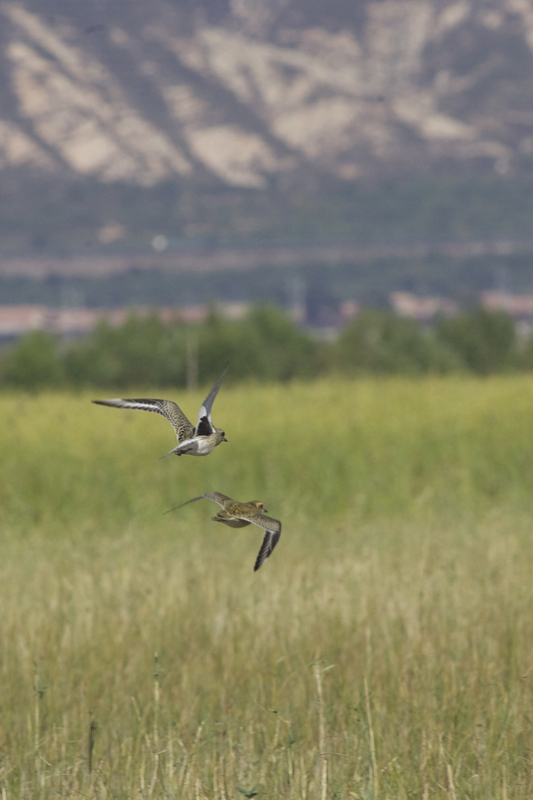 A few Oriental Pratincoles began to drift in and, as with the swifts, they kept coming. I counted over 85 altogether. I began the walk to Yeyahu with my heart sinking as I experienced the disturbance that is commonplace here. First, three local guys were chasing about in a speedboat with shotguns targeting the Common Teal. Unfortunately they were too distant to photograph but I will report this activity to the police (it is illegal both to own a gun and to shoot wild birds). And second, the ‘buggies’ were out and about on the ‘desert’.. they often start around 0800 and any plovers or larks are moved off immediately. 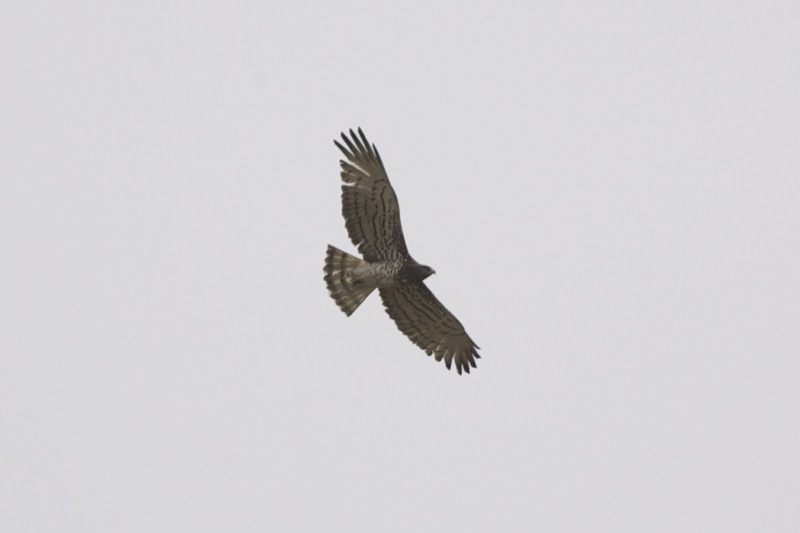 Almost as soon as I had retraced my steps from the island to Ma Chang, I spotted a raptor hovering over the area between Ma Chang and Yeyahu. 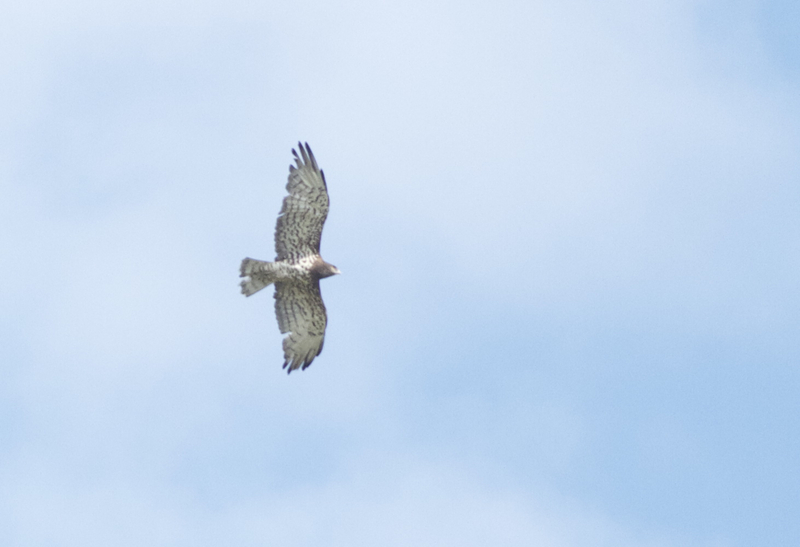 It looked long-winged and it didn’t take long to realise it was a Short-toed Eagle. Fantastic. I watched as it hunted and was able to capture a few images before it drifted off east to hunt over Yeyahu. 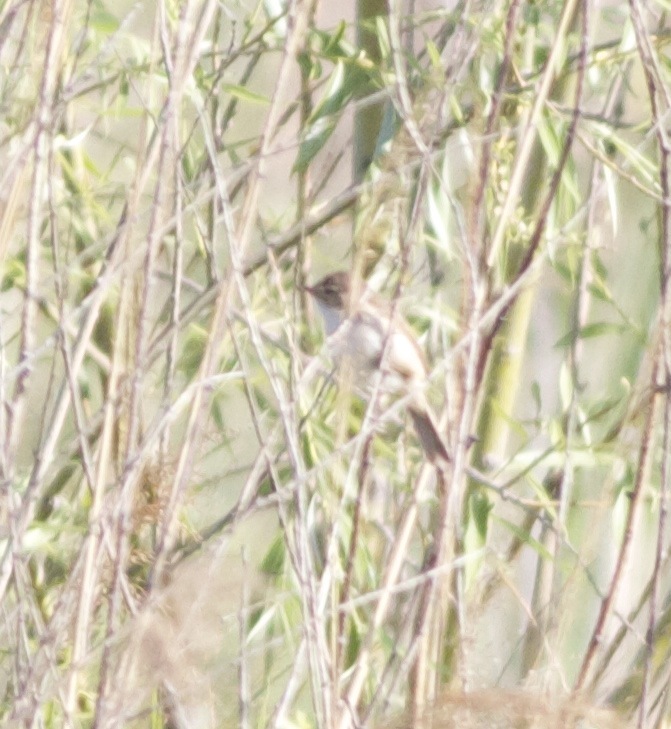 It is at least the fourth STE I have seen at WDL, having seen three in the autumn. 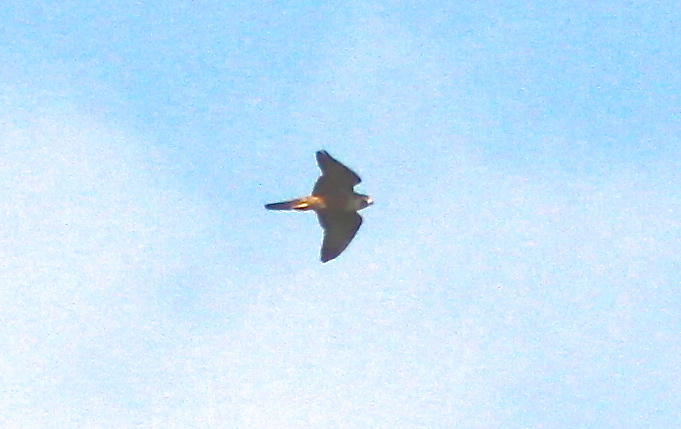 A few minutes later I spotted another two large raptors in the same area. 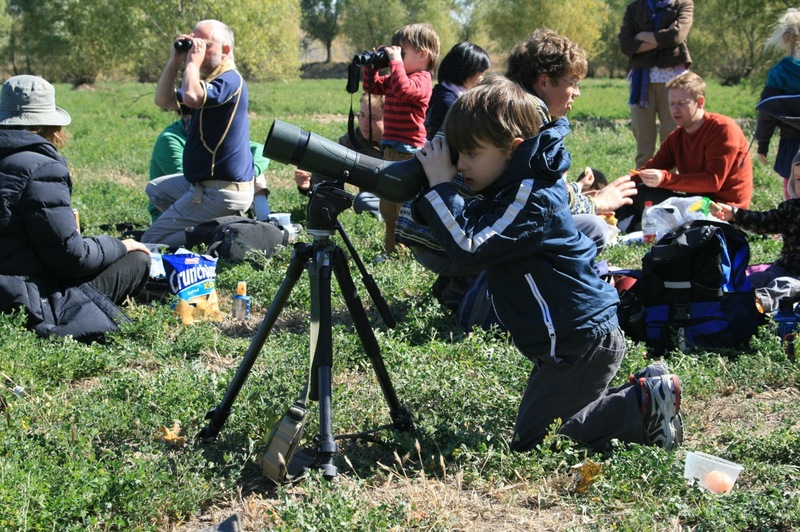 With the bins I could see they were large eagles and, through the telescope I could see they were Greater Spotted – a regular but uncommon visitor during migration. Very nice! They drifted east and seemed to go down in a small wood to the east of Yeyahu. At this point I was thinking how lucky I was to have experienced an excellent day but, little did I know, the icing on the cake was to come. 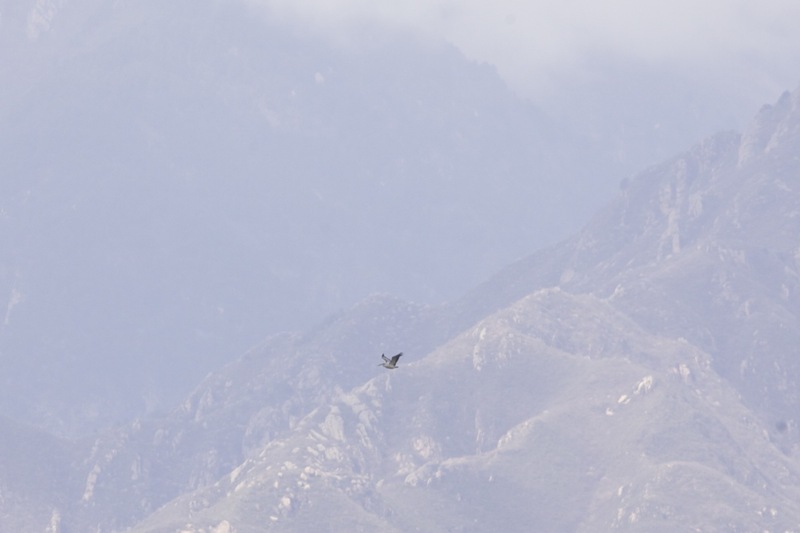 As the weather looked increasingly threatening, with showers in the mountains looking as if they were thinking about exploring the valley, I made my way to Yeyahu and, specifically, to ‘eagle field’ where I hoped to see the Greater Spotted and Short-toed Eagles again. 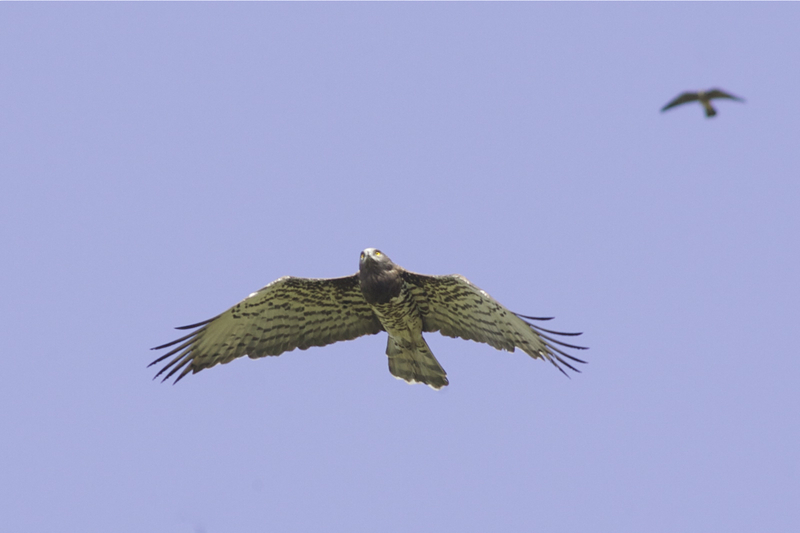 On the way I was entertained by at least 5 Eastern Marsh Harriers displaying over the reedbeds at Yeyahu – a real treat of aerobatic skill. 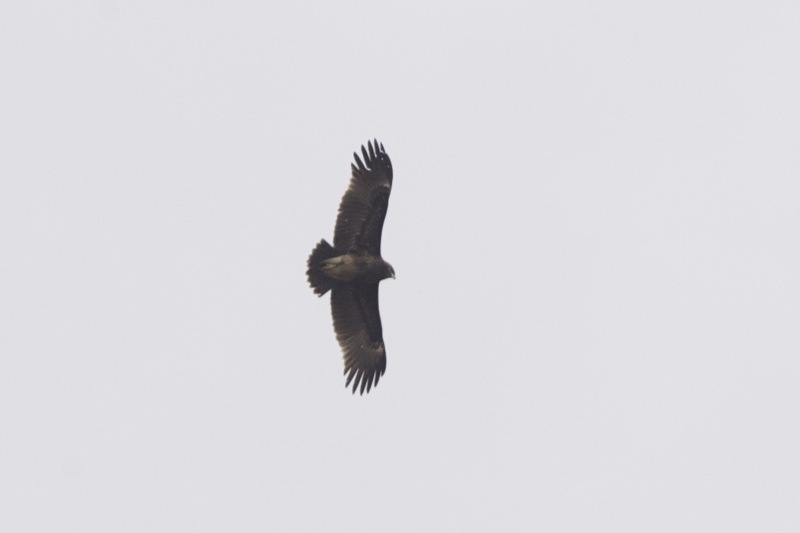 Then I picked up the Greater Spotted Eagles again – this time closer – and, as with the previous sighting, they gained height and drifted west before gliding back east and settling in the wood. Just a few minutes later, ahead of an approaching thunderstorm, they were up again and this time they again gained height and worked their way slowly west into the wind and the approaching shower. At this point they obviously felt the rain and they quickly turned. 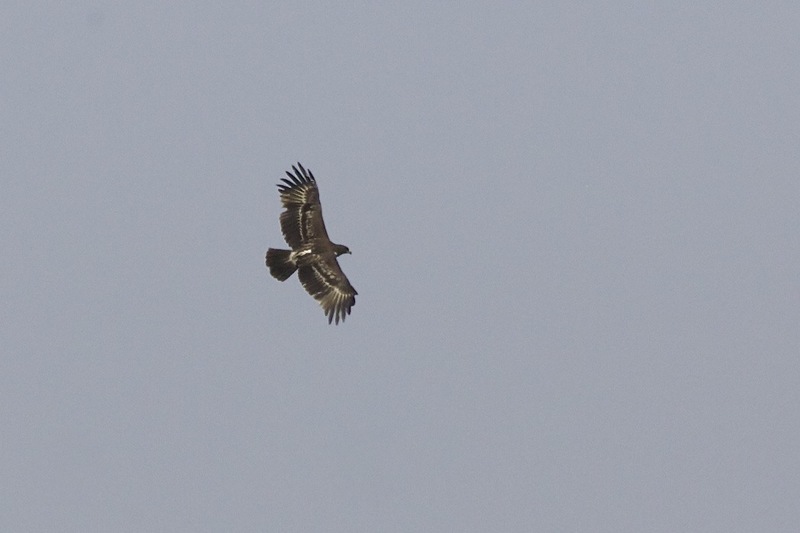 One of the eagles drifted high east and I lost it to view. The second clearly wasn’t allergic to rain and just dropped back into the wood. At this point I got a drenching. As I had been concentrating on the eagles, the shower had sneaked up on me and I ran for the cover of a hedgerow. Thankfully the rain lasted no more than 5-10 minutes and I made my way to the viewing tower at ‘eagle field’ to have my packed lunch. From here I enjoyed another sighting of the Greater Spotted Eagle as well as counting the wildfowl on the eastern part of the reservoir. There were good numbers of Shoveler, Gadwall and Common Teal as well as a few Great Crested Grebes, Falcated Duck and 4 Smew. 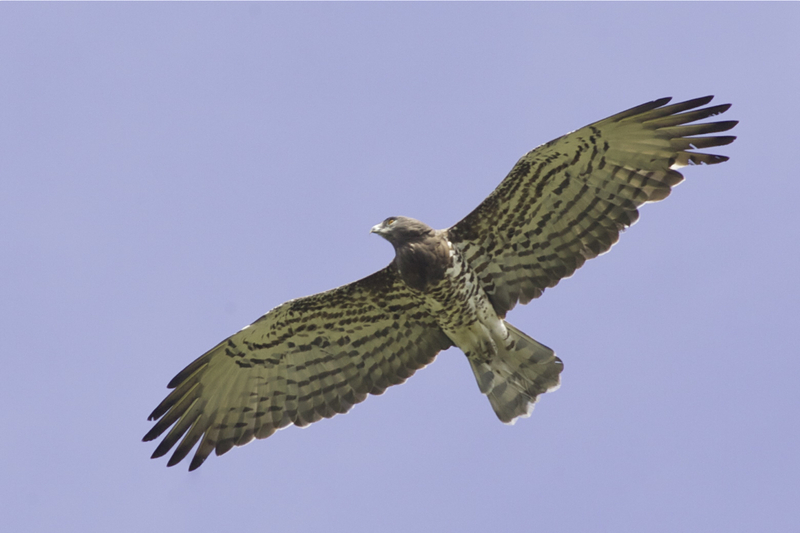 At about 1345 I began the walk back to the reserve entrance, where I had arranged to meet my taxi driver, looking over my shoulder every now and then to check for birds of prey. 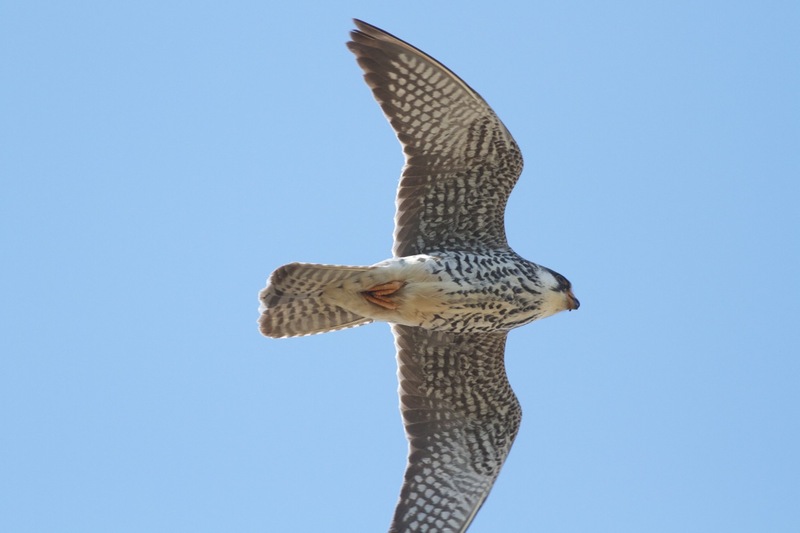 About half-way to the entrance, during one of my glances, I spotted a large bird circling.. I thought it must be the eagle and set up the telescope. To my surprise, it was not an eagle but a Pelican! Unbelievable… I immediately began to take notes on the plumage. It was a much duskier bird than the brilliant white plumage of last week’s Great White Pelican and the secondaries were brown, not black. 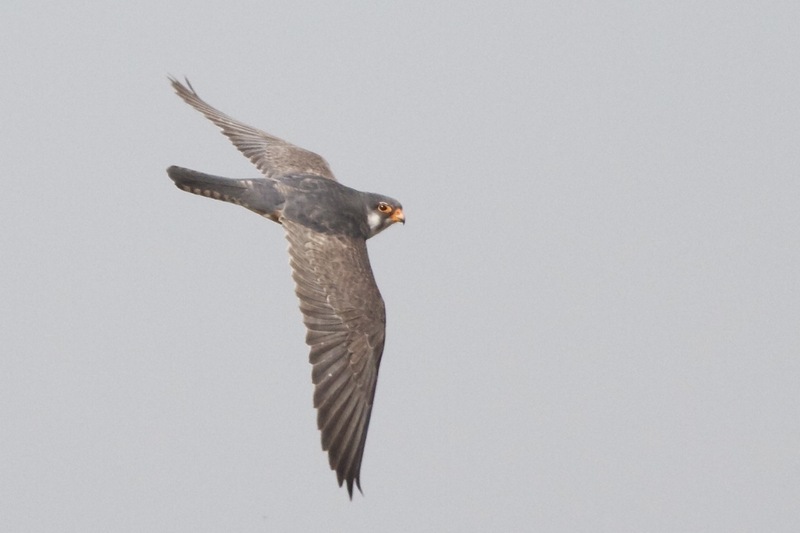 The underwing was rather dusky without noticeable contrast between the primaries and secondaries. It had to be a Dalmatian Pelican! I grabbed the camera and fired off a few record images as it made its way west along the reservoir. 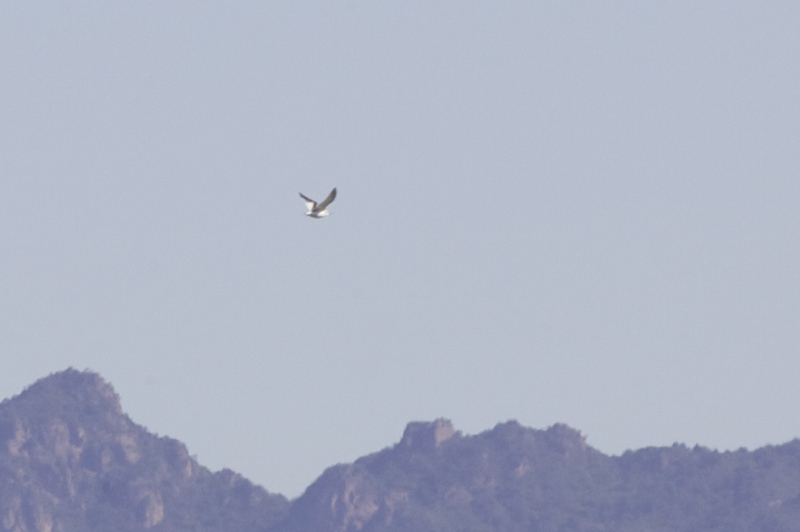 It looked majestic against the mountain backdrop as it slowly flapped its way across to Ma Chang. Wow. I met my driver and caught the bus back to Beijing feeling very elated after an excellent day in the field. What will this site turn up next?? 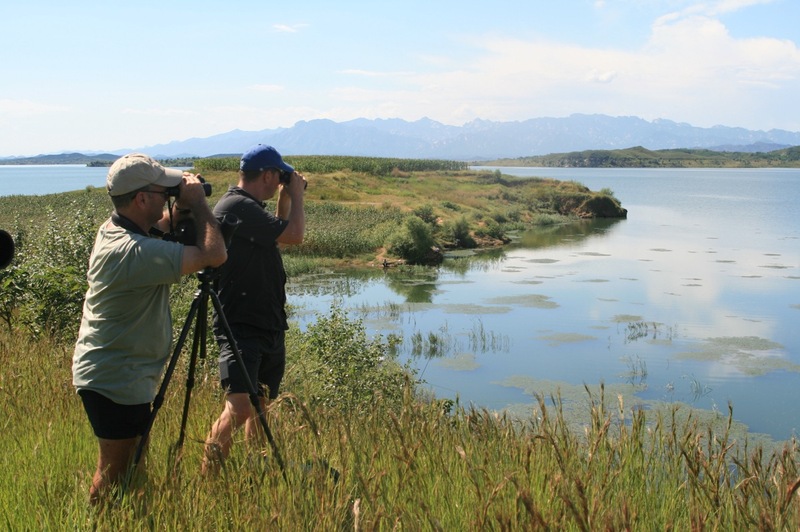 Posted on April 24, 2011 April 25, 2011 Categories UncategorizedTags Buggies, Dalmatian Pelican, Greater Spotted Eagle, Ma Chang, Rain, Saker, Short-toed Eagle, Stuck photographer, Wild Duck Lake, yeyahu2 Comments on Lightning Strikes Twice at Wild Duck Lake!